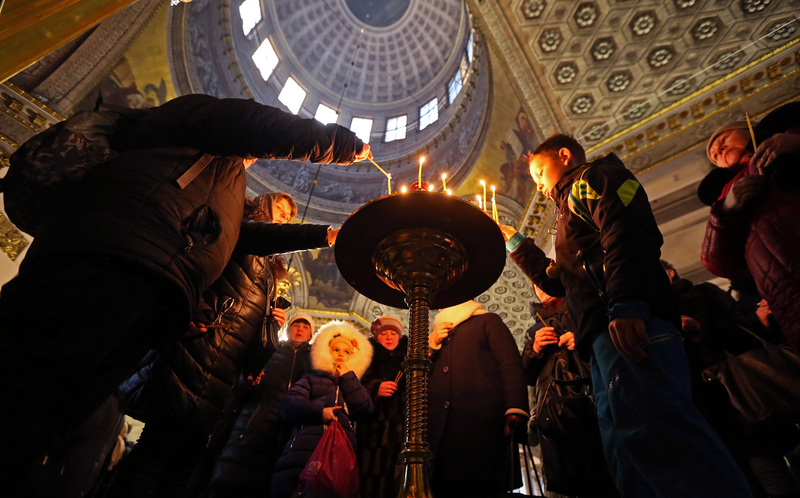 ST PETERSBURG, RUSSIA - JANUARY 6, 2017: Believers at the Kazan Cathedral on Christmas Eve. The Russian Orthodox Church celebrates Christmas according to the Julian calendar. Saint-Pétersbourg, Russie. Des fidèles à la cathédrale Notre-Dame-de-Kazan.